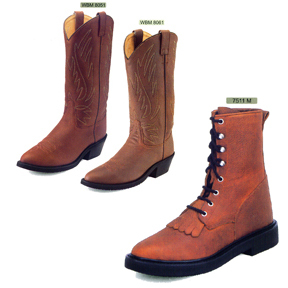 Cultured Cowboy offers all styles of Jama Old West Boots that are available. 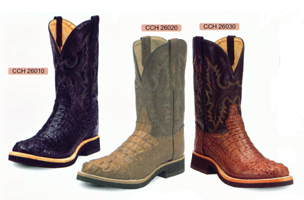 If you are familiar with cowboy boots, you understand the value that handcrafted boots can provide. You just won't believe the incredible values Old West Brands offer! If they are new to you, you have to try them to understand how truly great they feel. 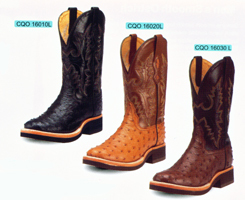 The boots are cut generously in size. They allow comfortable room for your arches and your toes. 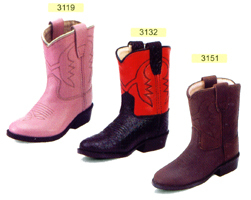 Until they break-in, they will slip on your heels. 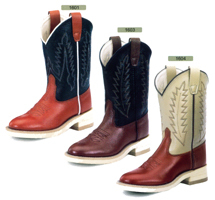 A good analogy is that the boot should feel like a comfortable handshake in the front, with a little slipping in the heel. 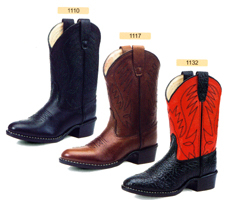 The widest part of your foot should be in the widest part of the boot. If so, they will break in properly. 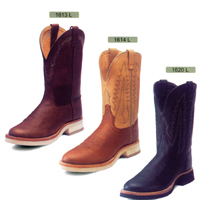 Please call for more information on any Old West boot, (even if it is a current style not shown), that you may be interested in. If Jama makes it, we can get it to you!